I am most proud of our people. We have over 500 employee-owners who are committed to living our purpose and our 5P values, to serving each other, our supplier partners and our customers, and are driven to go above and beyond. I am also proud of the high-performance culture our people have created. Our culture is the outcome of how our employee-owners feel, what they think, say and do. We are intentional about our achievement of business results through our people first. We ensure they are aligned with our vision and direction, educated on ownership and the business, and empowered to create lasting value every day. This has led to a transparent, collaborative, entrepreneurial, accountable and ‘play to win’ culture. 2. How do you keep the people that work with you (your employees) properly motivated? Our priority has been to create a workplace where our people have a voice, where they can make a difference and where they own their success. We have developed a strong cultural onboarding program to connect every employee-owner to our purpose, our values and the way we do things at Van Meter. In addition, we help everyone understand what it means to be an employee-owner and the impact they have in their role, every day, that drives the success of the company. When the company grows, our ESOP grows. Ensuring every employee-owner is connected to Van Meter at a deeper level has led to 75% plus engagement scores, where our people have an emotional connection to their job that transcends to our customers. 3. What is the biggest risk you have ever taken? One of the bigger risks I have taken was on September 2, 2008. I left a challenging and rewarding 15-year career in a large consulting organization, that came with stability, flexibility and people who I loved to work with - - to join a small, entrepreneurial, employee-owned, electrical and automation distributor (that I knew nothing about). It was a big risk, with a big reward! 4. What is the one characteristic that you believe every leader should possess? Self-awareness is a characteristic that I admire in effective leaders. I describe self-awareness as having personal insight to your strengths, your blind spots, your effectiveness and your ineffectiveness. Self-reflection and feedback from others are a big part of gaining self-awareness. When a leader is very self-aware, their influence is extremely impactful. 5. What is the biggest challenge facing our supply chain? There are many disruptors that will continue to have an impact on our supply chain including the incredible pace at which technology is changing, the rate of industry consolidation, and the demographics and availability of workforce. The ability for any organization in our supply chain to understand the impacts that each of these have on their business, as well as the businesses they work with is critical. We must be proactive in leveraging the full value of our supply chain to modernize the B2B customer experience through technology, differentiate through delivering more value-add services, and recruiting and retaining the very best people to our industry. Van Meter, Inc. appointed Lura McBride President and Chief Executive Officer in May 2016. McBride joined Van Meter, Inc. as the Vice-President of Organizational Effectiveness in 2008, and was promoted to Chief Operating Officer in 2010. 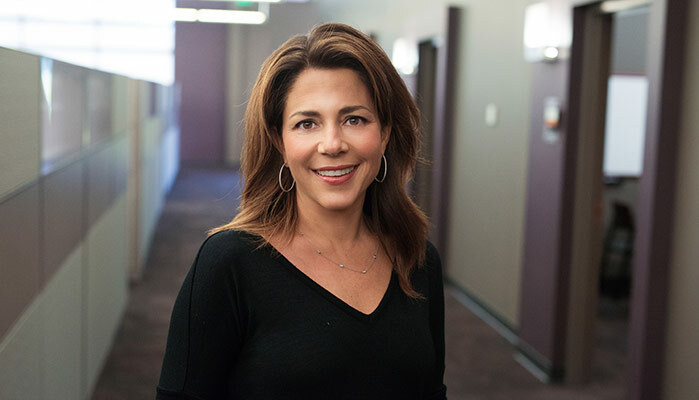 McBride earned her Bachelor of Business Administration degree from the University of Iowa and has a Mini MBA from Northwestern University’s Kellogg Graduate School of Management.